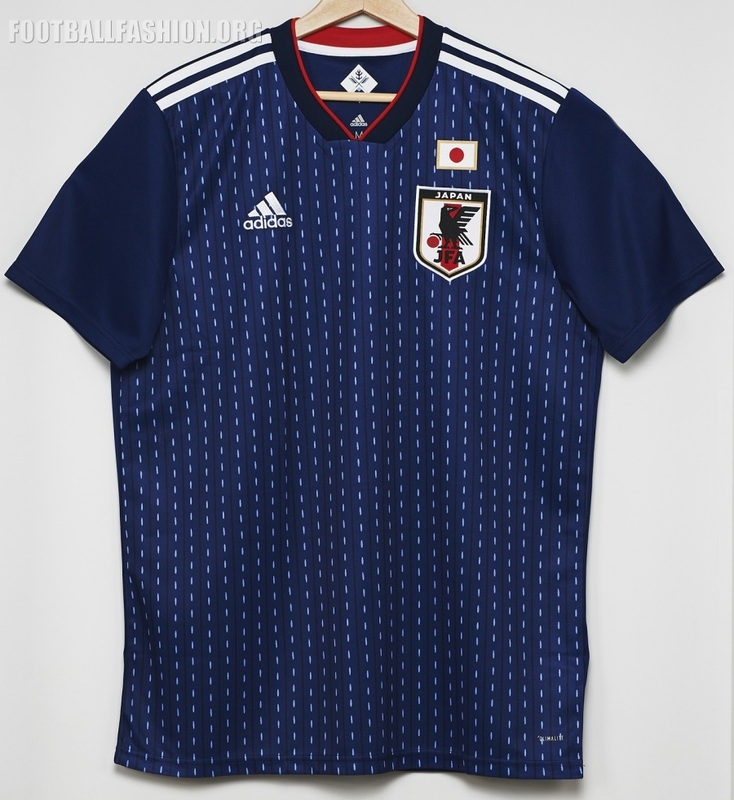 Japan debuted their adidas 2018 World Cup home during their 3-1 loss to Neymar and Brazil in Lille, France on Friday afternoon. 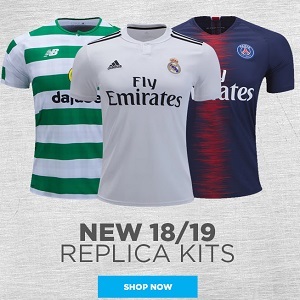 The latest Samurai Blue primary jersey will be on sale at World Soccer Shop, UK Soccer Shop, Lovell Soccer, Pro:Direct Soccer, Subside Sports and Kitbag. 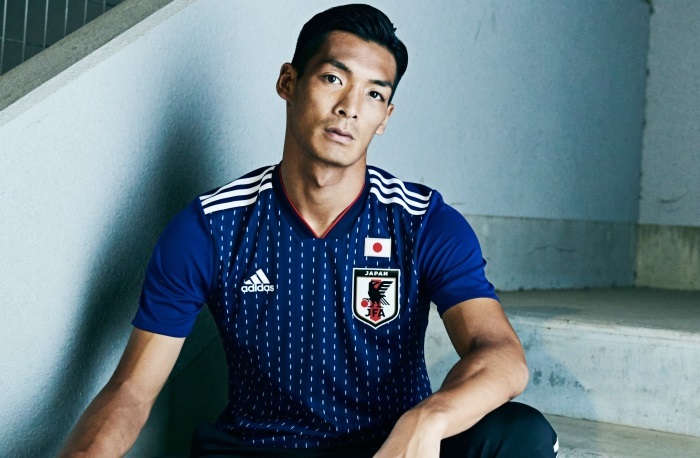 The Japan 2018 World Cup home shirt takes inspiration from handcrafted Japanese Apparel Design. The graphic mimics the traditional craftsmanship of Sashiko stitching technique, which is made by white rough threads on indigo dyed base. 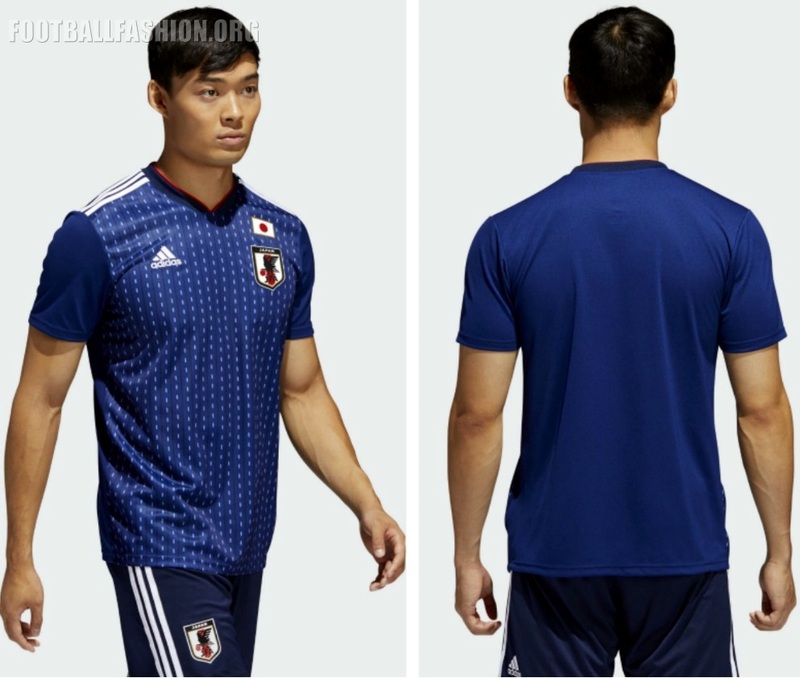 The kit features a new shade of blue with hues of red and white in representation of the Japanese national flag. A sign-off on the reverse of the neck area celebrates important moments of Japanese Football Association’s 96 year history. The kit has a ribbed v-neck collar that is trimmed in red. The inside of the collar’s back area is red and white. 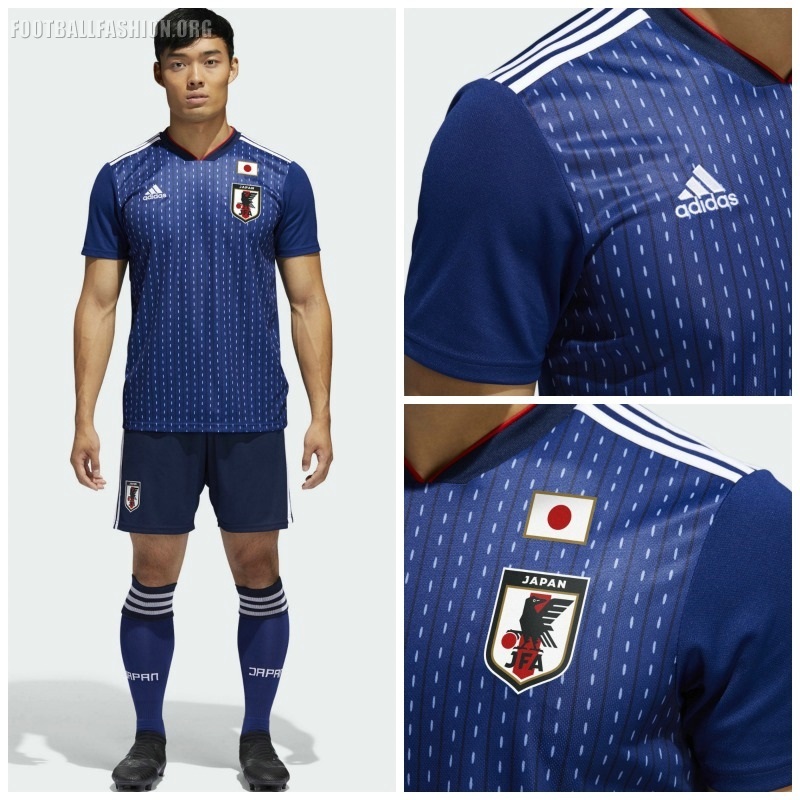 A Japanese flag lined in gold is printed above the JFA crest. The back and sleeve areas are all dark blue and do not include the Sashiko stitching graphic.